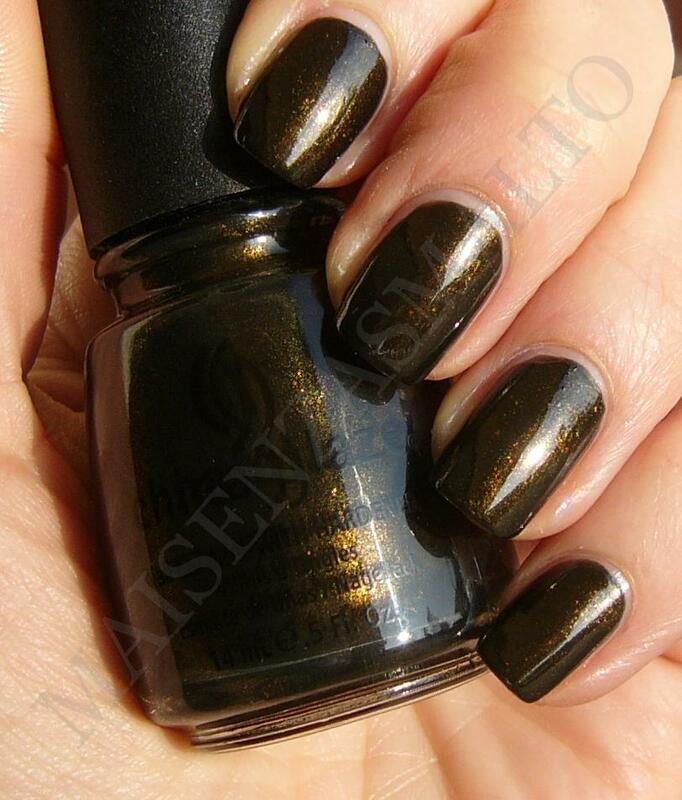 I just say that I changed my profile picture for this polish. 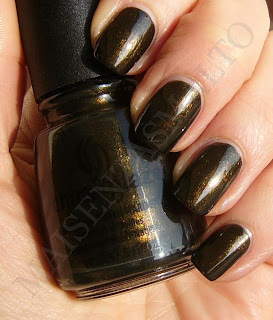 I know it's a fall color (Rodeo Diva Collection in 2008) but I find it amazing: a dark olive green (almost black) with golden shimmer. 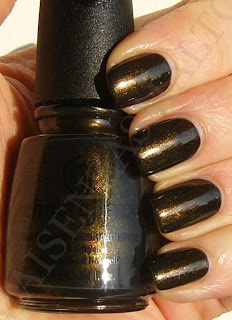 I couldn't stop taking pictures of this beauty, and I must add that application is easy peasy and it's perfectly opaque in two coats. Pure love!!! !